Whatever happens with The Sparky Project and whether you’re for or against the new mascot, ASU’s Sparky, in all his forms, is an integral part of Sun Devil tradition. And he is one of the most recognizable things that is synonymous with ASU throughout the world. The need to develop The Sparky Project so that the people can be heard is just a reminder that our university and athletic department will not take us to the next level until they improve and sincerely prioritize relationships with alumni and fans. The controversial issue caused by the unveiling of the new mascot just amplifies this challenge and deficiency for ASU. Looking back at their undergraduate experience, many ASU alumni don’t think that the school truly embraced them as students or the best group of fans who were the heartbeat of Sun Devil Stadium on Game Days. And since graduating, many don’t feel that the university cares much more unless they bring their check book. Most alumni, even those that aren’t involved or follow ASU athletics, love Sparky. He plays an important role in attracting people to events, and he is with us in good times and bad. In a unique way, Sparky epitomizes the fans who are behind their team through victory or defeat. Based on constructive feedback from thousands of fans through public forums and social media, the Sparky decision was not handled appropriately. This was a significant and rare opportunity for ASU to send a message that they embrace fans & alumni and value their involvement. Doing so would in turn perpetuate a more valuable relationship that has become the backbone of winning athletic programs and support. We are not discounting the work by ASU and it’s leaders, and we do not necessarily doubt their vision & agenda. Obviously, they have identified important opportunities that would coincide with some needed changes to help ASU Athletics. Many of these individuals are DieHard Sun Devils themselves. But when making significant changes to something as important as Sparky, with whom fans of all ages have an emotional attachment, they could have ensured a smoother transition and less disenfranchisement of some of the best fans in Sun Devil Nation. No one is suggesting, at least in this camp, that ASU should have sent out a mass email with an open-ended question like, “Should we overhaul Sparky: Yes or No?” But had they made some visible gestures to involve DieHard fans and the ASU community of parents, faculty, staff, students and alumni, they would have at minimum tempered the negative response. At best, they would have received valuable feedback and cooperation from important fans in making some of the decisions. There are many ways to do that which garners a separate article. ASU has done some very good things that have put the athletic programs in a better position for success. Perhaps the best example of that is bringing in a coach that has not only reached out to people, but he has developed a brand of Sun Devil Football that has inspired virtually all fans & alumni. The program is mentoring and building strong relationships with its student athletes as not only exceptional football players but as future role models and leaders in the community. The university has successfully added the Pitchfork to ASU’s logo’s and athletic uniforms, most notably for football, to reflect a cutting-edge, innovative brand. Even the game day atmosphere has improved with more progressive visuals on the digital board and more fan-friendly music throughout the stadium, all of which builds the entertainment value of a ticket. In the last few years, ASU’s marketing department seems to be operating like any successful business, which is ideal. They have more qualified individuals involved who have implemented some very effective, original ideas, and they have seen them through. While fans may not be consciously aware of their hard work, what they do enhances the bigger atmosphere and fan experience, which is an essential ingredient in raising the bar for Sun Devil Athletics. But what the Athletic Department has to understand better is that their relationship with the lifeblood of the university, the alumni & fans, is the proverbial cornerstone for ASU’s success. Either they haven’t fully grasped that or they haven’t acted on it effectively. Personal relationships are not a part of the plan. They ARE the plan. Just ask Coach Graham. Anything less is simply untapped potential and overtime, it becomes a progressively difficult process. There is a contingent of devoted alumni out there who take it upon themselves to build a stronger culture of support for the university and athletics. It’s these types of people who are on the front lines in building affinity for ASU, and they are doing many things on their own. They have built a network of relationships with fellow alumni & fans because of their love for the Sun Devils and their desire to bolster the connectivity of the fan base. That way everybody benefits. So what’s the solution to strengthen the financial support throughout Sun Devil Nation? What allows ASU to keep & recruit the best coaches, the best professors and devoted fans in the community AND in the stands? It’s not asking alumni and fans for money. It’s about understanding and building better relationships with current fans, working together to revive apathetic fans and attracting new fans with a lot of energy. If attitudes don’t change by decision-makers and in turn the fans, we will lose. What a shame it would be to be sitting here in ten years saying the exact same thing again. Until the Alumni Association, the ASU Foundation and the Sun Devil Club/Athletic Department do a more effective job of working together and bringing the fans and alumni on the same side of the table, the opportunities to develop more DieHard Sun Devils will be limited. Winning solves many issues, but personal relationships sustain a program in good times and bad. At the end of the day this is a business, and a more successful Sun Devil Athletics business doesn’t prove it with effort; just like the team, it proves it with results. That doesn’t mean it’s easy, but who said that building & sustaining a Top 20 Football program ever was? It takes practice, preparation, hard work and a commitment to a higher standard. And all players must be on the same page in order to harness the true potential of fan support. A better relationship with the alumni & fans is the real commodity. Money is the bi-product. Now is the time to Build Relationships, Save Tradition and Save Sparky. 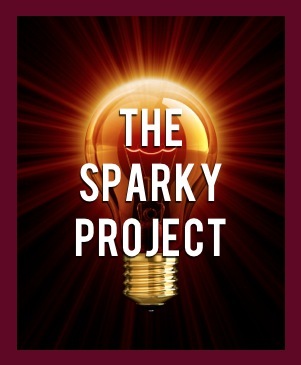 To be heard, visit The Sparky Project and share your constructive thoughts.